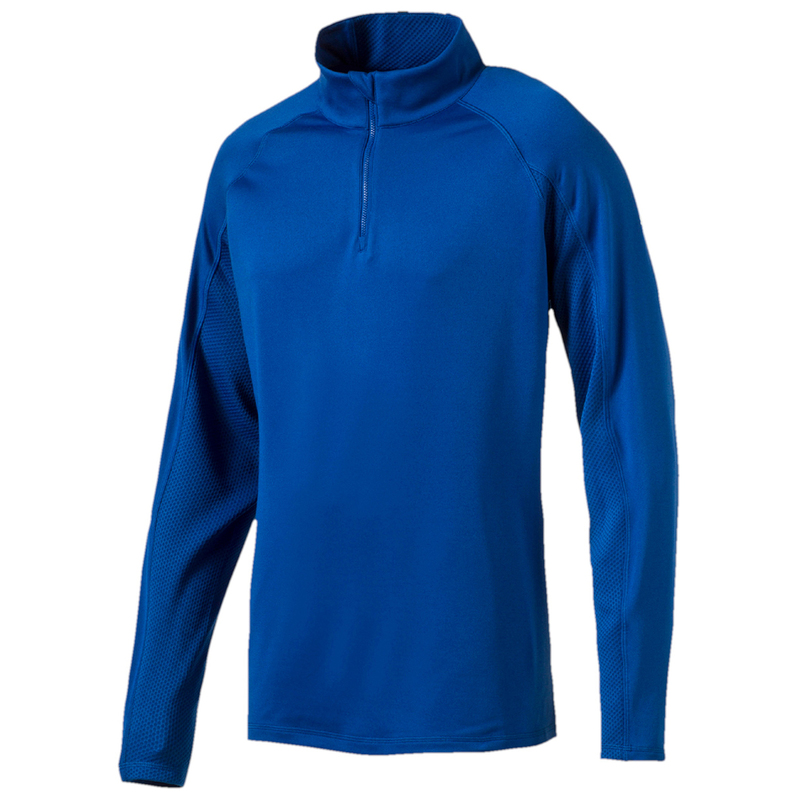 This fantastic 1/4 zip popover from PUMA will keep you looking amazing on or off course as well as giving you the much needed performance benefits while trying to beat your last round. 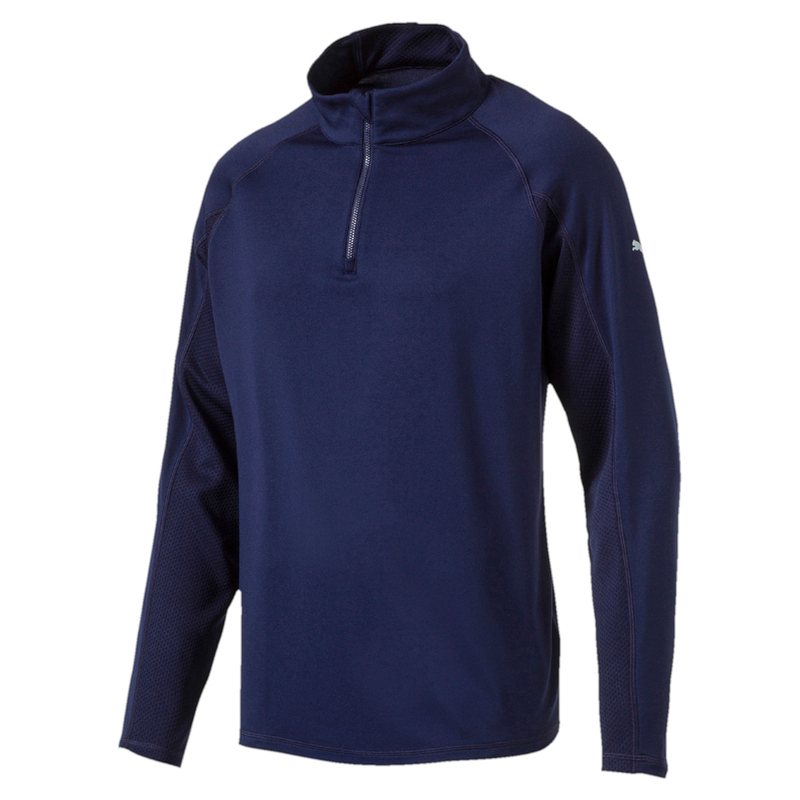 The warmCELL construction of this garment ensures heat is kept close to your body to maintain your optimum temperature when it’s cold out on the golf course. 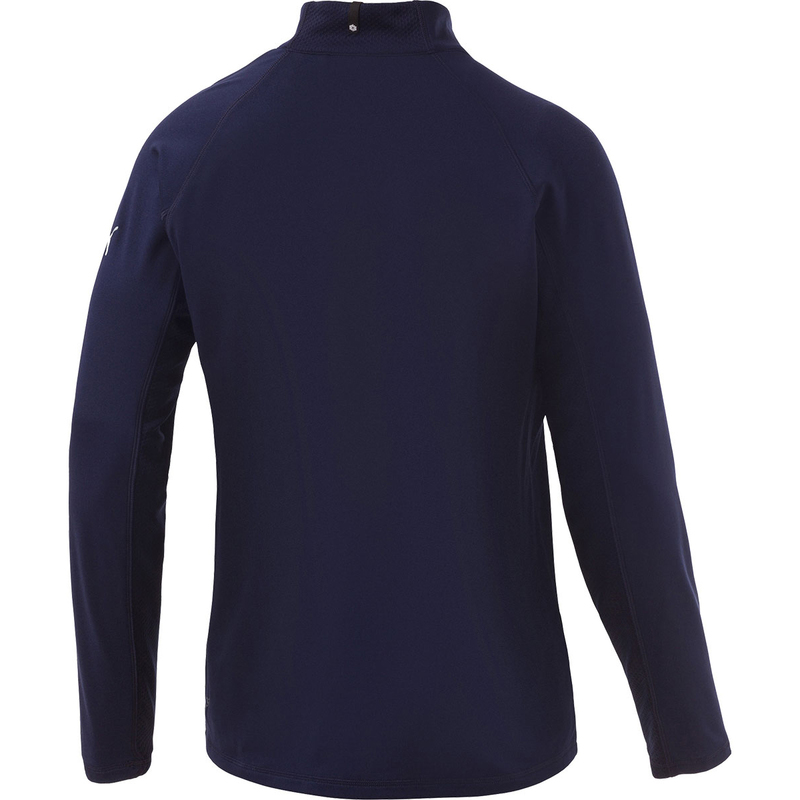 And to finish this sweater off are the famous 3D heat transfer PUMA Cat on left sleeve as well as the PUMA Golf label on back of the collar.